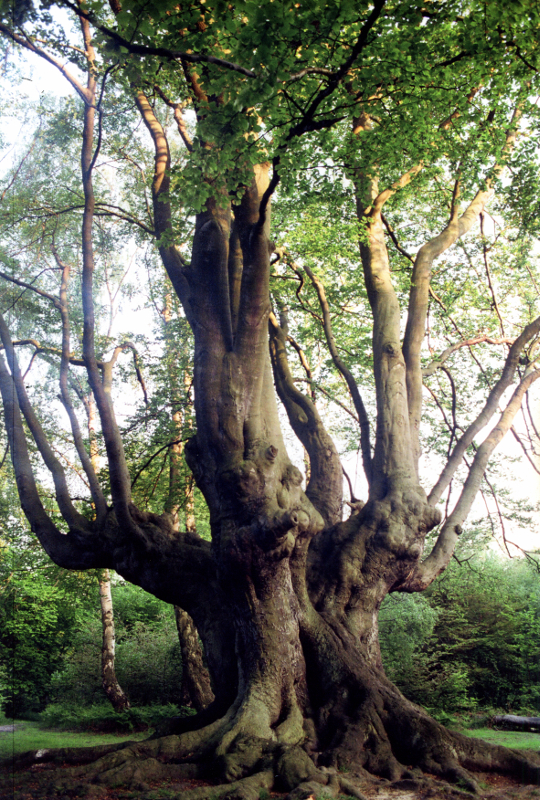 With this article I aim to show how the rain forest sized tree in Epping wood that has be coppiced twice and has grown back to a rainforest sized tree twice proves the rain forest trees could be prehistoric or at least many thousands of years old. This will never come back again before our own doing. 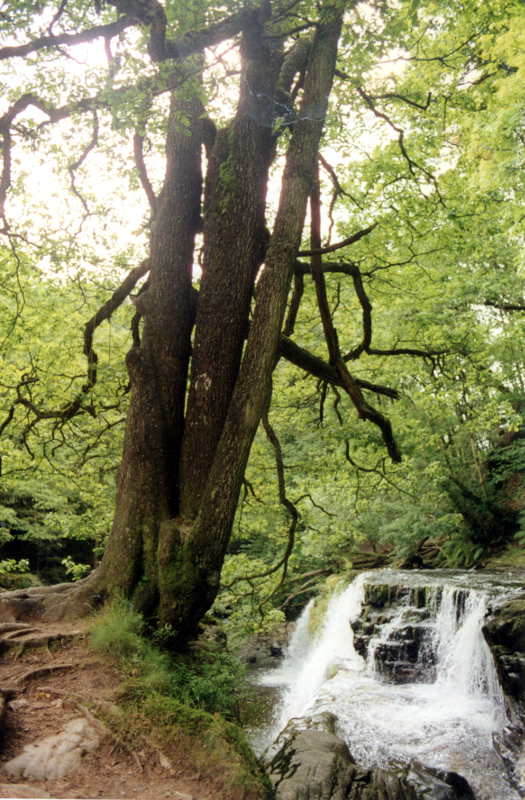 To do this I have included the Vale of Neath dwarf oaks that have grown back into large dwarf oak trees and show by the way they grew back that they themselves could be several thousand year old each trees coppiced in a battle in mythology itself and then grown back. They are just beany trees. There appears due to the evidence in this article to be a problem with the rings of the wood in aging the hard wood trees as soft wood just falls on a year to make a ring and hardwood could be a longer time due to the rings being formed by some other process. This is also only when the rings occur in the wood like oak wood and hornbeam that we have used for our scientific test we will look at next. None of the rainforest trees even have grain yellow wood, stink wood and tong like the plain trees here in London. 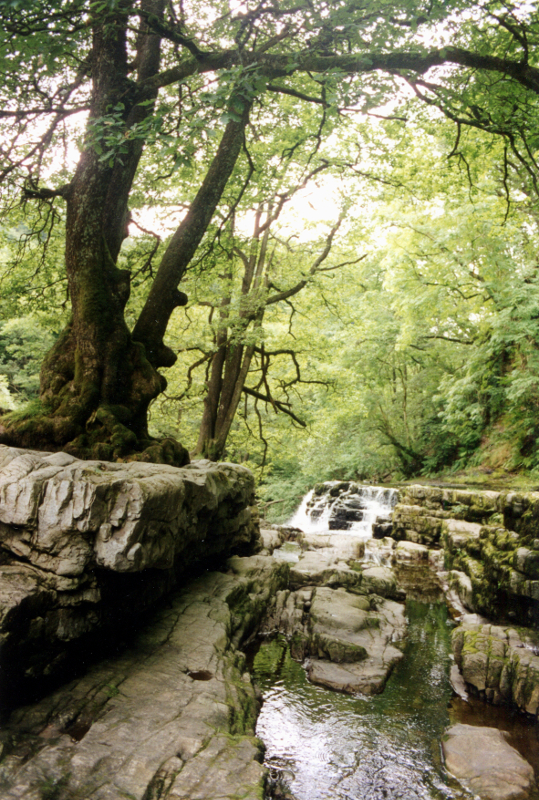 The theory is that the cauldron in Celtic mythology that gets destroyed in a battle by Efnisien is the Vale of Neath Dinas Emrys. The myth describes the cave in the place effectively as a clue but no one wants this trouble so the myth exists of this. 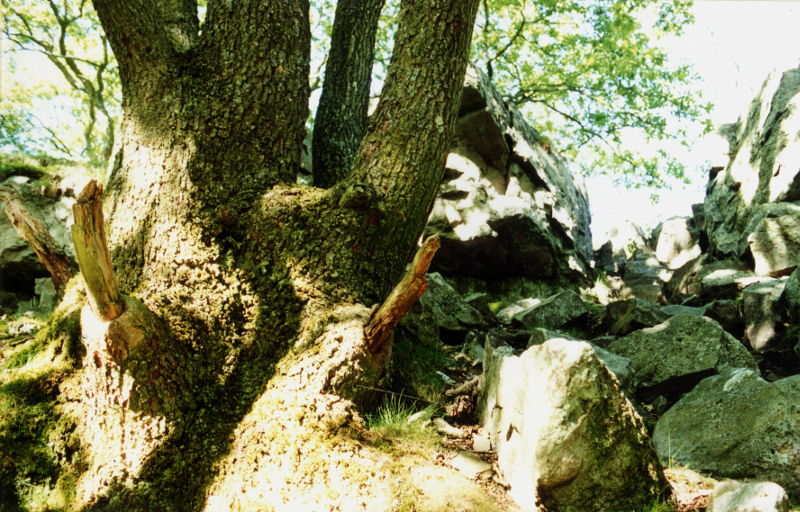 Then it comes down to whether you believe its this from the myth and that would make the trees very ancient if it has grown back since medieval times. However if this is not the case and I am wrong about all this then there is no problem with deforestation and all this but I’m always encountering a problem with people and this thing. Well here is the myth first then we can look at the evidence for the theory. This exists under Efnicien’s name plate in the book Celtic Myth and Legend, an A-Z of people and places, Mike Dickson/Kennedy. Blandford. The son of Perardun and Erosswyd, brother to Nisien and half-brother of Bendigeid Vran. While Matholwck, King of Ireland, was is Wales seeking the hand of Branwen, daughter of Llwr and sister to Bendigeid Vran, Efnicien cruelly disfigured the hundreds of horses Matholwck had brought with him, an insult so bad that Matholwch took his revenge on Branwen by treating her cruelly after they had returned to Ireland. When Bendigeid Vran learned of the suffering of his sister, he set out with his host to rescue her. The Irish at first attempted to placate Bendigeid Vran by housing him in a splendid palace, but they had hidden one hundred warriors in bags of provisions. Efnisien suspected the trick and circumvented it by crushing the heads of each of the hidden warriors while they were still in hiding. Matholwch and Bendigeid Vran met and decided that the best way to settle their argument was to bestow the kingship of Ireland on Gwern the boy who had been born to Branwen and Matholwch. On hearing this, Efnisien cast the unfortunate boy into the fire and war broke out. Because of the cauldron Bendigied Vran had given Matholwch as a wedding gift, the Irish at first had the upper hand, for they could restore their dead back to life. Efnisien changed the fortunes of the Welsh when he managed to destroy the cauldron, but he was killed in the attempt. So absolute was the carnage that only five pregnant woman remained hidden in a cave, and only seven of the invaders returned across the Irish Sea. So due to this cave here in this myth I believe that this is the place because there is only one cave there where you can hide behind the wide curtain waterfall, the middle falls. There is a flat rock inside where at least five people could remain dry and hidden. Then it comes down to your belief in whether this is the cauldron destroyed or not. If I’m wrong there is no problem with aging using annual rings but if I’m right then there is a problem. 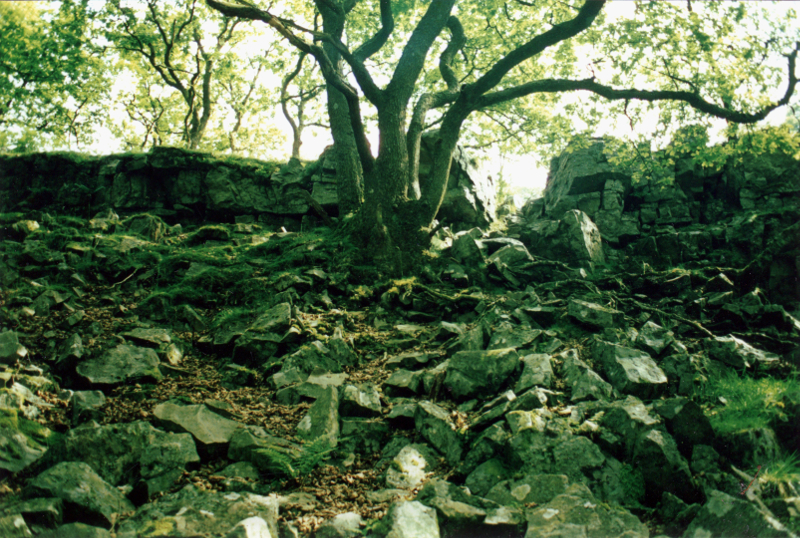 It’s not my problem because I found that if the place can supernaturally grow back to show using relativity that there are ancient trees up to 3600 years old, coppiced 800-1000 years ago and grown back into large dwarf oaks again it’s because it is the cauldron and is supernatural, this is the problem. So it would supernaturally have the capacity by proving this and that the rainforest tree at Epping wood proves itself that it’s prehistoric. I guess it’s a point of view, you may think this place is nothing and prefer the park for no particular reason but to safe the rainforest with a supernatural point you would need to understand that earth field so will briefly look at this. The equation for understanding the earth field is earth = waters weight because it’s all ordered by weight the materials that make the solar system and earth and water both landed at this orbit. This is based on proven scientific theory that this small solar system formed from materials and dust of a giant super nova swirling into eddies attracted by the pull of the sun forming the heaviest of these, compressed helium. So the crust was formed underneath a boiling sea and then in the earths forming has cooled and shrunk and the ground has come out where it is situated from this. The 800 miles of evidence of tectonic drift we have is all that’s happened to be the case. Then super-hotspots like the Himalayan mountain (this they found coming out the ground with its plateau the size of a quarter of China in the atmosphere and we will look at this in our final chapter about fossil fuel being in this plateau). Yellow stone national park in the US evidence of a huge super volcano active in forming today’s earth field. So the UK has also just come out where it is and the fault line in the Vale of Neath is evidence of this and is a microcosm for understanding the rest of the worlds formation and is like a soul of the earth then. This shows how the UK land mass has been pushed out the sea bed by 20m or so by a giant volcanic plume created by pressure as the earth cooled more and shrunk maybe again and the volcano that has leaked out has landed on top of this and then eroded into what it is today due to glacier action and weathering. This could have retracted back into the earth after releasing this pressure causing chasms or cisterns which could affect the earth’s magnetic field and at this point like Dynas Emrys (the Vale of Neath) where this is exposed and can create a break in the magnetic field making a connection to inner earth energies that have anomalous effects that can be believed to be supernatural. Anyway it is my belief but it has been my experience defending this, this way so you can forget about the sparrow on a dusty road now. The place is aside from having a natural causeway is multi-faceted having evidence of glacial action and is all formed by a fault line that has been there since the formation of the earth. The way this is exposed, this retracting into the earth of the plume, had pushed the sea-bed out of the sea and cooled and shrunk, retracting, creating chasms and cisterns, can be seen by how these hills and cliffs have formed in the canyon. It is clear that this is limestone due to a gun powder factory being built down the mountainside that someone blew up and its ruin and the little stations going halfway to this sites can also be seen, so this was to convey all the material down these stations presumably. So maybe they were going to do this when the place got destroyed and the dwarf oaks cut down, then it got blown up, the factory, and they didn't mind it and it all grew back. So the limestone is fossilised volcanic mud and is sulphurous the same as stalagtites and stalagmites in caves and there is evidence in the Wonder Cave north of Johannesburg, S.A. where the mining of this has also failed, leaving the stalagmites today. So the mud has filled up chasms formed by the initial cooling and shrinking of the earth, that I'm saying has happened in two phases, the first pushing the sea bed out of the sea and then the volcanic plume solidifying and shrinking, causing the cisterns and chasms retracting into the earth. So the chasm has filled up in layers (see charcoal drawings in drawing section) leaking out the fault that must have reached up to above the level of the hill in a previous earth's crust that has eroded down to where the fault line is now at the river bank and filled up these previous chasms from the bottom up, creating these layers of limestone, different thicknesses according to different outpourings being pushed out. This could have been from a second cooling and shrinking of the earth that was smaller, pushing the mud out, filling the chasms, that is a microcosm of the state's formation we will look at in our next chapter. This second shrinking phase could have been due to the formation of the moon and atmosphere and, as we'll describe, Yellowstone National Mountain to be as well from this second cooling. 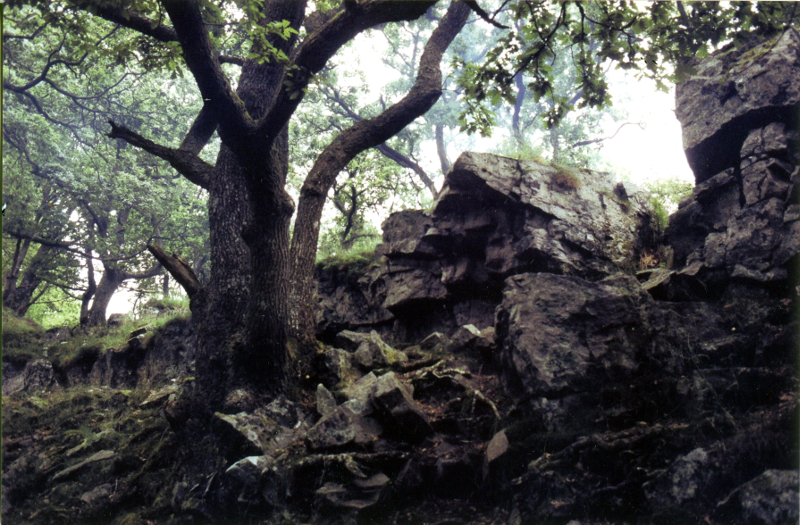 If you look from the side of the hill, the layers of limestone in Dinas Emrys are not horizontal as they formed, when you look front-on to the cliff, but go down at a 45 degree angle from the cliff face. So this whole rock strata has collapsed in turn into another chasm below and is evidence of these going down into the ground. The cliff the river has made in the canyon from water erosion has probably fallen in beween two suchlike structures to start this erosion in this position where the river is. It has remained the same, this cliff, for a long time and is held in position by being the ends of this 45 degree angle on the layers of rock that look horizontal from the front. This also has a crystaline structure that it's eroded into that can be caused by the heat of the lava, giving the sulphurous volcanic mud a charge. The fault line is the river bank going from the top waterfall to the middle one and the cliff forming the hill and presumably the bank is the edge of the plate. 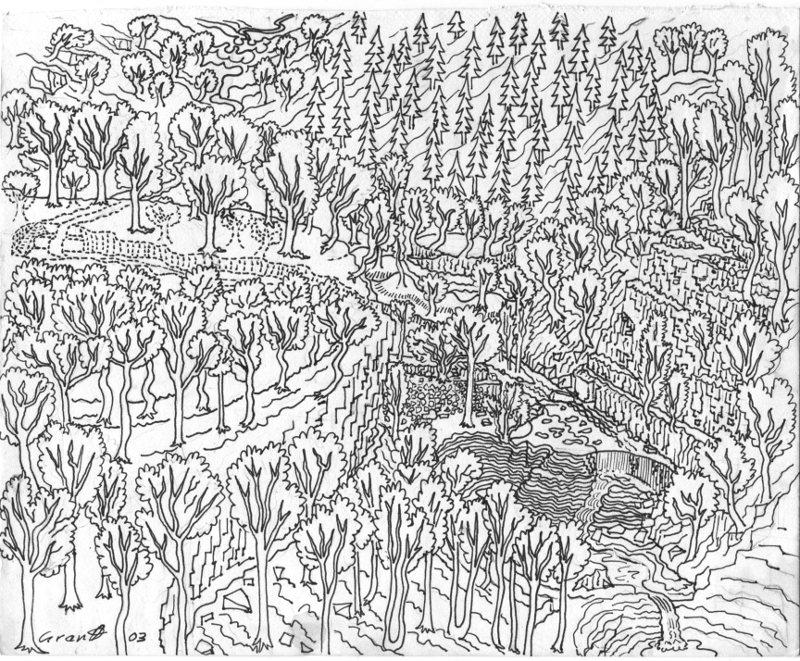 This can be seen in this diagram, and is the dotted line as it is looking through the hill at this. So however the earth’s crust has eroded into the place the fault line still remains visible and can be seen in the ordinance survey map and this capability of the place to understanding the formation of earth is to have this supernatural point. So then again it becomes a soul of the earth and the way the trees have redressed can show this then anyway in the end. Then I guess the question is relativity still relative but if someone’s now said its wrong it’s still relative if it was right up to then and is relativity then again. And if splitting the atom could be so simple that now it’s the particle and looking into this maybe it’s good for saving the planet as well as this fusionary physics. So let’s look at the evidence then we can discuss the implications if I’m right about this. Here are the four dwarf oaks in question growing in close proximity in this ravine I’m saying is the cauldron. 1 – This one has two trunks, there’s one main one and a small one so we’ll say this is the one with one trunk for argument sake. 2 – This one has three trunks but two are formed from one and are compressed together at the base into one this is the same thickness as the other of its trunks so well say this is the one with two trunks for argument sake. 3 – Here they both are the one with one and the one with two in site. 4 – Here is one with five trunks but there are three main large ones and two smaller ones so well say this has three for argument sake. 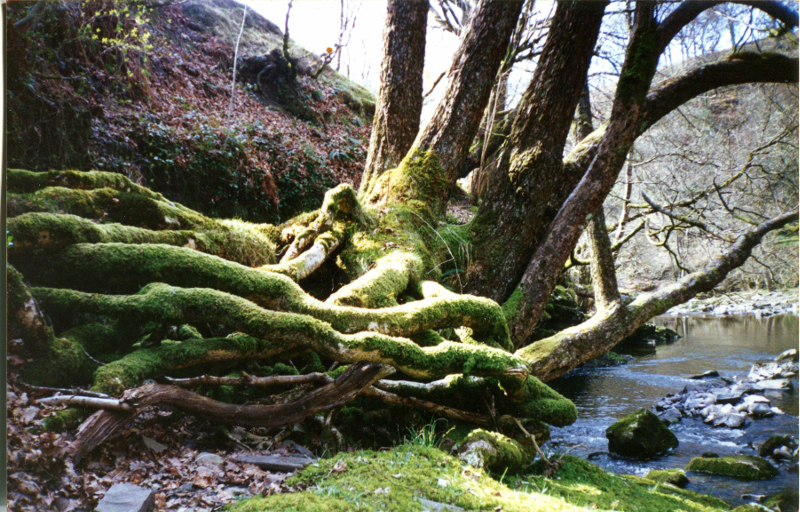 5 – This is another angle of the one with three trunks then. 6 – Here’s yet another angle of the one were saying represents three trunk’s then. 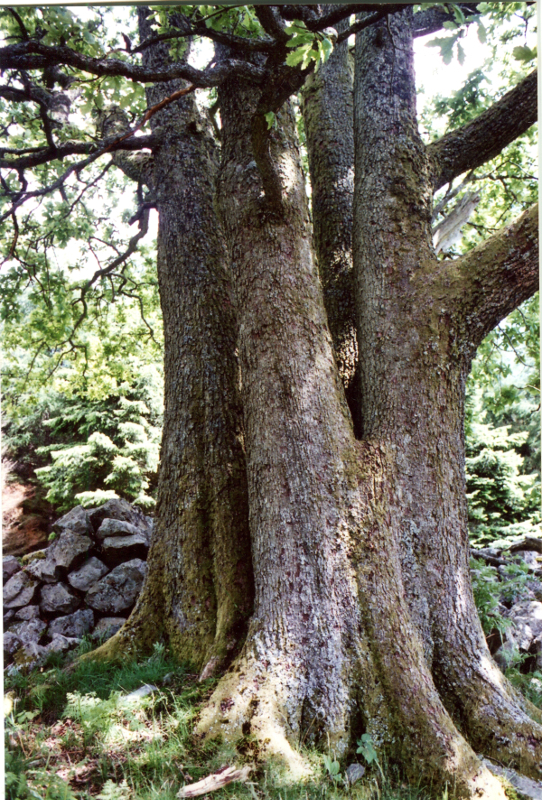 7 – Close-up of the tree we are saying represents three trunks. 8 – This one has six trunks with four main ones and two smaller ones growing out the side so we could say this represents four trunks for our argument or six because they are quite the same size these growing out the side . So it’s naturally grown this way so we have to make these divisions for our argument using relativity and the different thicknesses of the trunks by the time it took to grow back finding the original age by the amount of trunks that fit into the base. The thickest is the one with one trunk and then the one with two and then the one with three still thinner and the one with six has the thinnest trunks. So the one with one trunk is not relative to the others because there is no way of calculating how old the original base is to the time the trunk took to grow back by timesing the time by one when there’s one with six with no base that fits into the base that was left of the one with one trunk. This is because the one with one trunk has contracted up from the base that it’s grown back from the base that was left and is smooth while the old base has mutated from having to expand more from being very old before and slowing down expanding at the base . The one with six trunks has been coppiced at ground level leaving no base but has grown from all over the coppiced stumps edge let’s say , are slightly dispersed and fit’s six times the growing back time into this stump then . This is because this one with the six trunks combined thickness added together fits into the size of the one with one trunks base that was left and is relative to this as the one trunk has contracted up and doesn’t show the age of the original base. This makes the age of the base of the one with one trunks age six times the time it took them all to grow back together. That is if it is the cauldron and they all get coppiced in medieval times in this battle 8oo – 1ooo years ago judging by the names of the people in the myth and could make the age of the original trees at least 3200 – 3600 years old depending on the exact date of the battle and weather you view the one with six trunks as only four. Then there’s a problem with the ageing of the hardwood trees using the rings. So we have done a test in 1996 by cutting the two lower branches of a small hornbeam tree to reclaim when they had grown into the eye sockets of a sea monster idea that it would make perfect eyes for on either side of this. So we reclaimed the wood in 2008 and cut the wood just above the eyes for the head of it and the longer top piece of the beautifully shaped hornbeam wood for a base for some other small thing. We have included pictures of this sea monster for our test and the small 8 inch tree has twenty rings that are 5mm-1cm apart on average. So if this has been growing 1cm a year it would have covered the cut branches with a knoll on the tree. At least because the hard wood cut at the base of the branch would die back and the soft wood would cover this with a knoll. It has only grown 1-2mm in this time, the redressing of the wood making the eye sockets. So there seems to be a problem with this and you could say cutting the tree quarterised the wood but then there is not at least 4 inches of tree formed past this point either of the cut. So here is a tree showing how these knolls would look after the extrusion of dead branches as it also has one in progress being extruded and this could also take a long time, this is in the Forest of Dean. So the implications if I am right about all this is that none of this rain forest is never coming back before our own doom effectively. So I came up with this theory because I spent half my life from when I was 24 in 1994 in London exploring the countryside and environs for 10 years while setting up my studio and then getting on with my statues for another 10 years and I am 48 now writing this. I haven’t noticed trees budge an inch and they say you can notice this but what about this evidence and this test. 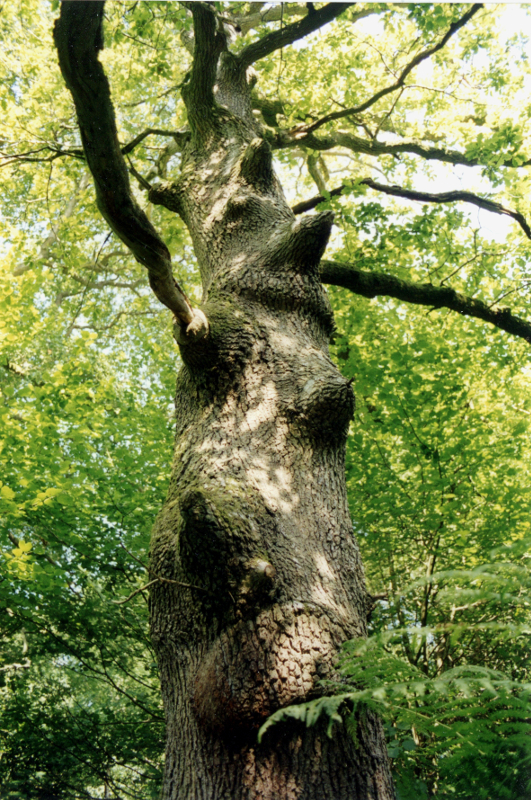 And if a giant oak has 250 rings because that’s old would a 100 year old person say that they have seen this double in size when you are not noticing for half your life in London 24 years all the small park woods little trees not budging an inch. Nobody cares about them and what they think and poor Vera Lynn has just reached 100. This should all be 5 to 10cm of growth, if the giant oak rings are 2mm to 5mm apart, as usual, and then in an oak that has 250 rings, that's 1.5 metres in diameter and you wouldn't notice this over a 25 year period that annual hard wood tree-ring provocateurs say that you do notice this, but you couldn't then and this needs to be calibrated, but they are doing this using the rings of this and it's the problem in the first place again. So I'm saying, that these coppiced trees do calibrate and show this then that this happens in mythology, because they are not annual rings take longer forming some other way, and I don't know how, only that there are a few types of tree that do this, as I've mentioned. So then there is a problem if my theory is right otherwise there is no problem if I am wrong as I have said before and then everyone’s got a problem with this. So I’ve noticed that half the Amazon has been cut own now since 1962 because I have seen the documentary indicating where the fire line is on the map of Brazil and it is half way to the Amazon river that runs half way through Brazil and that means a quarter. The problem with this is that in my 1962 Caxton Atlas I have the rain forest is the same as this quarter down into Argentina and so it could be seen as half now cut down for what it’s worth and then nobody notices all this disappear. But then what do they use it for and concrete furnaces are blasted with the hard wood from this to give the concrete powder its chemical reaction when they make this. I’ve heard this on BBC 4 radio today morning news programme but it’s just so you know how they set your plastic world ablaze. So they need to find an alternative like making ceramic shell tiles for the floors of the buildings, mass producing the colloidal silica somehow to do this cutting down on two thirds of the cement and the rest is just the lift shaft but maybe they can make that in metal casing. So the problem is that it’s for bronze casting moulds ceramic shell and is the Columbia shuttle's heat shield. So they say it can’t be mass produced and this from sand alone and that’s the problem. However who ever develops this effective nuclear plant blue print for this will make all the money from this. So the States could try this and you say they won’t be bothered but the theory of mine suggests that the planet could go to pot if they cut this all down because it’s got to a point where it is now poised from all the deforestation since civilisation began for global warming if they are these ancient trees because that’s all there was. The presumption is that from all the deforestation since civilisation began in the world to create let’s say Britain form this that would all have grown only from the end of the small ice age we have been through ending 4500 years ago and that was let’s say 2500 years long and the whole UK was covered in ice for this. 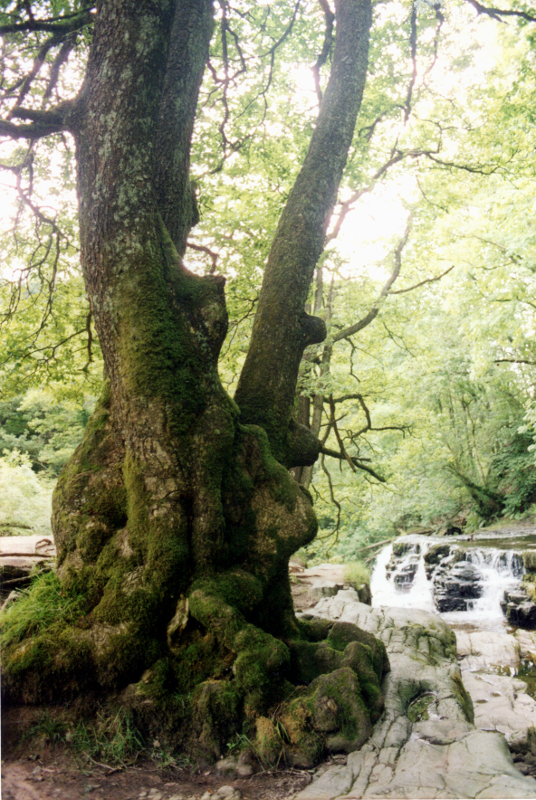 Anything before this disappeared or rotted in the ice and this didn’t affect the Amazon that could be over 65 million years or from any time before this and regenerative with the problem of the trees all being many thousands of years old each if the dwarf oaks in the Vale of Neath are 36000 years old and so on. So this shows this here in the UK but civilisation for this time here would have been equilateral to this all growing since then and a cave man existence arriving here inhabiting this only since then. So they haven’t even had to come and cut own an island full of rainforest size trees and this has all evolved symbiotically up to the evidence we have left of these here today. 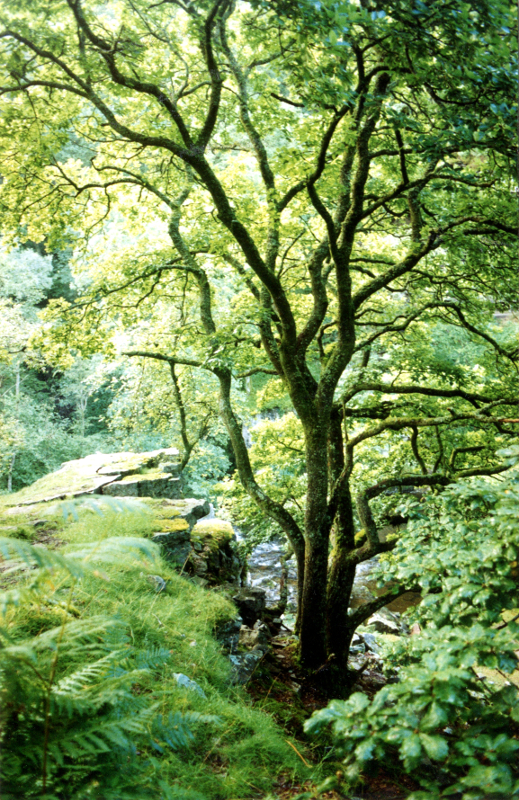 So the one that proves this, I am saying in Epping woods the mother tree of this, let alone the Vale of Neath. So you can’t accuse them of then even cutting this all down here like they do with this argument. So if I am right about all this they need to take this evidence into account because this could all be poised for global warming due to this process and then the oil fields being lit 1991 in Kuwait has created a supper volcano effect for a year before they were put out a year later by the fire chief in Werner Hertzog's documentary filming all this and I have seen this. So this put the other carbon molecule in the air 27 years ago creating global warming and you can’t get the carbon molecule out now you can only put another in, but that’s the cause and not the effect of all this deforestation before as I’ve explained that’s created this. Another working solution is that there could be a whole new generation of fossil fuel in the Himalayan plateau of Tibet that is quarter size China and no one lives up there because it’s in the atmosphere and there is no oxygen. Then they wouldn’t need the rain forest land for palm oil and that’s the problem with this all coming down. The way this works is once again understanding the earth filed. This is different to the magnetic field and is the visible structure of the earth I’ve called before the ultra-body field. From the Vale of Neath you can understand this as I’ve said because it is a microcosm of all this and is evidence that the UK got pushed out of the sea here when the earth cooled and shrank at the same time as everywhere else where it is situated today. So this small lime stone crystal cannon took the same time to form as the Grand Canyon and we will look at the evidence that tectonic plate drift has only ever been 800 miles of evidence all over the planet here and there. The equation for understanding this is as I’ve mentioned before earth = waters weight as it is all ordered by weight the materials that formed the solar system and earth and water have landed at this orbit. So this means the crust has formed under a boiling sea and that the earth has cooled and shrunk and the ground has come out where it is situated. So you have to look for clues for how this has worked. Clues are mountains that have formed by being volcanic plumes trapped in the crust where the crust has eroded from some previous Pangea surface to expose these for example yellow stone national park mountain (Yosemite National Park), Monserrat and Ayers rock. This evidence shows that it is too much to expect earth to have originated from a central Pangea land mass because then you are expecting too much from earth and it can’t give. So the 800 miles of evidence that we have of tectonic plate drift is all that happened to be the case. Though it goes both ways and this erosion of the crust could explain the shelf of the coasts. So I have looked at the evidence of how the States plate drift has effected Africa. Here we have evidence of hot spots going south for 800 miles or so down from Yellow Stone National Park. So the plate has gone over this hot spot and then the hot spot has ended up as the mountain here formed by volcanic plumes strapped in the crust that eroded away. 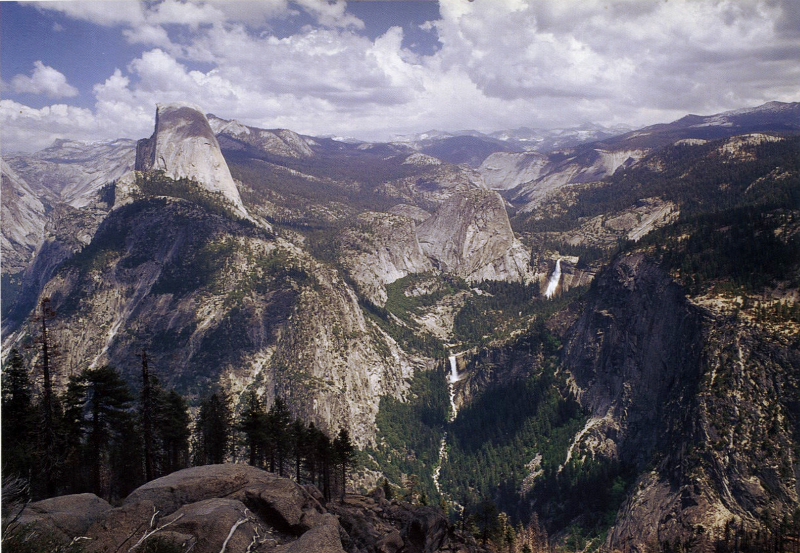 It’s easy to think that the land was formed by a crack in the earth where the plumes landed up. Though the evidence of the hot spots shows that this original crust has eroded away down to expose these hot spots going south and couldn’t have moved over itself the plate. So this does suggest that there has been a shrinking of the earth’s surface when it cooled and the original land has been pushed and bowed out of this original boiling see due to earth = waters weight. Then further shrinking has created a plume coming up through this and making the hotspots evidence of the plate drift then coming out at the yellow stone national park. This also suggests that this dome of Yellow tone National Park the highest point may have leaked onto this previous Pangea like surface of the crust that may have been flat creating erosion of the crust and then suggesting that there was life on this i.e. trees that have landed where they are today from this evolution of the earth field. 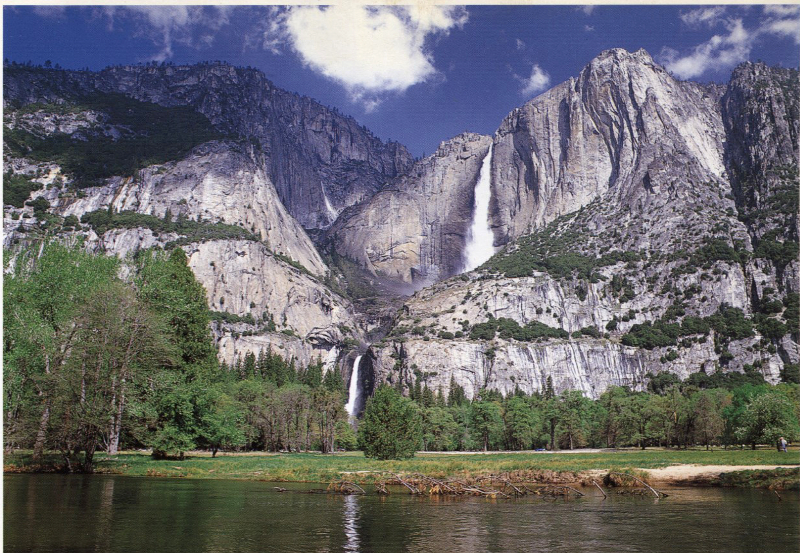 So the red wood trees of the Yellow Stone National Park could be a classic example of this. Also the moon would have formed already by then . So this 800 miles we see here of tectonic drift we see has pushed the south American continent into the African continent at the bottom end of the mid Atlantic rift nudging it over 800 miles and then pushing the sea bed out to create a plateau that has formed the top of table mountain. This plateau would have reached the Ceres Mountains and has been eroded by the rivers forming Table and False Bay leaving the top of Table Mountain of evidence of this plateau. Then the Drakensburg would have formed under this crust by being pushed over the hot spot that forms the Swartberg block like mountain with its turrets on the corners that is a volcanic plug that has formed after this activity where there is a break in the Drakensberg with this in the distance in Lesotho and this has stopped forming over the hot spot and the lava has just filled up the plug in the end creating the great block like Swartberg. The plate has moved north and the other evidence of this is the atlas fold mountains at the north of the continent in Morocco and this 800 miles of folded earth as it crunched into the European Asian continent that is the biggest one. The States has just pushed in a straight line pushing Africa up due to this sphere shape of the earth although it looks like it’s done a circular motion on the map. The European and Asian continent doesn’t appear to move but it’s the biggest one and there is also evidence that the Himalayas have retracted into the ground and solidified and is being pushed up again under pressure of being the biggest of these super volcanoes, the amount is nearly not visible to the naked eye looking at it from outer space compared to the thickness of the earth's crust and the three metres of evidence they found means this could have been at ground level the high plateau. So the Himalayas couldn’t have formed in itself and there is no evidence of the continent drifting over this like in the States. It also appears to high up to have formed in some prior earth’s crust and eroded into this. So I base this theory on a documentary that I saw on 4OD online documentaries about the formation of the earth. In this British scientists say they found evidence here and there that the Himalayas was being pushed out of the ground. They said they had about 3m of evidence that dissipated into a normal rock face and that it was due to the erosion of the mountain forming silt hundreds of miles into the South Asian Sea becoming lighter and being pushed up by pressure. So I say this is from being this giant hot spot the biggest in the world that may have formed the land here unlike the states due to a naturally bigger process and then the pressure point pushing it out. However if there is this 3m of evidence this could have been at ground level the high plateau a quarter the size of China when it was this active volcano forming the continent and in this plateau could all just be fossil fuel by now. No one is going to want to know about this now and you are going to have to make air tight freight cargo hover planes to go up and get this in the atmosphere. So the Russians are the only ones making these airborne hulks and no one want to talk to them and this is the problem. This naturally bigger process could be unique on earth, that's why no-one's noticed this until the British scientists found the Himalayas coming out the ground. So this could be that the super-volcano was active in forming the continent as the plateau is a quarter the size of China that's been pushed into the atmosphere. Then this has expounded and its capacity as this super-volcano has expounded and this has never happened anywhere like I have explained in Yellowstone National Park's super-volcano's plume trapped in the crust, but the highest point as I mentioned shows this never got to be active and is the top of the plume forming volcanic rock from the lava plume. So in the end the Himalaya's plume has come out and expounded and expired doing this actively, forming the continent. Then this greasy material has come out in the end and has solidified back into the crust, and then formed the fuel by hardening and separating out into cystens of the liquid fossil fuel. Then this has all been pushed out by pressure of this again and into the atmosphere the high plateau that was ground level when it was active. So God, or at least my sky spirit, Phaser One, gave me this vision of where this exists. So please don't kill me. What if I'm right about all this? And China own this and say it's in it. So it’s needless to say but you may enjoy my surprise artwork of Kate Beckinsale as this deity. And with all this earth activity I’m sure she would be interested in all this and she does care so much about everything. So it’s called ‘Have you seen her dressed in blue’. "Have you seen her dressed in blue?"